Do you want to take really beautiful photos of the square? 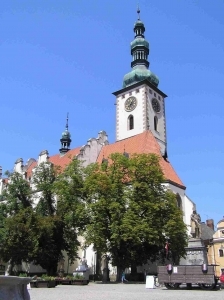 Then, you shouldn't be afraid of 200 stairs and climb the 75-m high tower of the Dean's church. 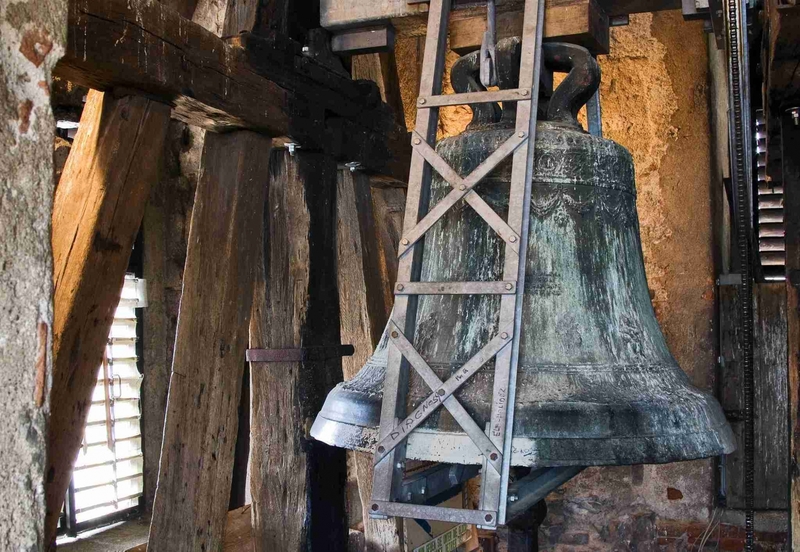 Your climb will be enhanced by a bell weighing over 2.5 tons you will have to crawl under. 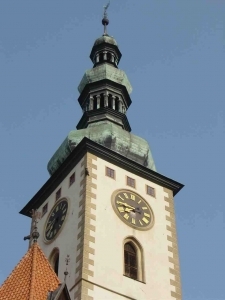 The entrance to the church tower is located at the back side of the church (a small brown door). A sale exhibition of old bank notes, coins, postcards, minerals and other interesting items is located within the tower. A fee for the exhibition is included in the ticket allowing you to visit the lookout tower. Join a virtual tour – 360° view from the tower of the Dean's church here. Up to 1956, a tower guard with his family lived here; try to imagine living in such a place! If the weather permits, the tower is occasionally opened even on weekdays from 11 a.m. to 4 p.m.
You can also visit the tower after you have arranged the tour by phone.